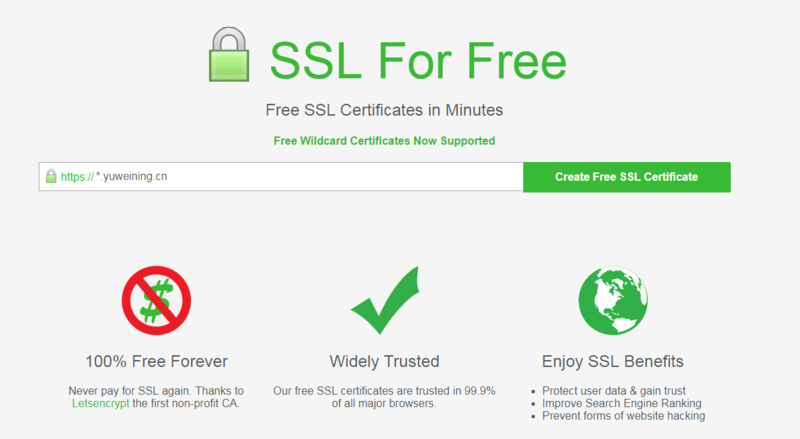 Wildcard certificates allow you to secure a domain and any subdomains under that domain. If you wanted to secure any subdomains of example.org that you have now or in the future you can make a wildcard certificate. To generate wildcard certificates add an asterisk to the beginning of the domain(s) followed by a period. Wildcard domains do not secure the root domain so you must re-enter the root domain if you want it also secured under one certificate. For example to create a wildcard domain for example.org enter *.example.org example.org. To create a wildcard certificate for multiple domains such as example.org and example.com enter *.example.org example.org *.example.com example.com. Manual DNS verification will be required. We automatically add the www version of the domain if not already added as most users want that implicitly. To remove the www just submit the domains you want to verify then on the verification page near the top click on "Add / Edit Domains" and remove it and submit again.